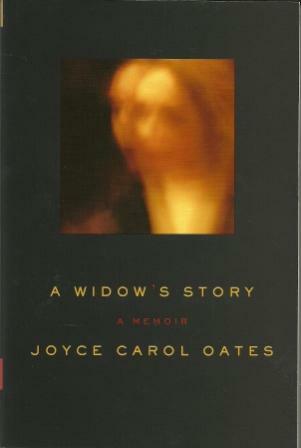 Joyce Carol Oates’s memoir about her reaction to her husband’s death has become a subject of some controversy, most of it seeming to stem from Janet Maslin’s New York Times review, which suggests that Oates is cashing in on the current interest in grief memoirs and criticizes Oates for not revealing that she was engaged to marry again less than a year after her first husband’s death. I was alerted to this controversy by Dorothy shortly before I started reading Oates’s memoir for myself, and I found it hard to get Maslin’s thoughts out of my mind as I read, so I’m afraid this review might end up being part review of a book and part review of a review (apologies in advance). This memoir has been frequently compared to Joan Didion’s The Year of Magical Thinking, which I’ve read a couple of times (and seen the stage version). The comparison is understandable in that both are by noted authors of the same generation who lost their husbands in similarly sudden manners. Both books also focus on the first year of widowhood (although Oates focuses more tightly on the first six months, with the one-year anniversary appearing only as a one-sentence addendum—more on that later). The two books, however, are quite different in style and tone. Didion’s tone is more detached, almost clinical; whereas Oates’s writing is chaotic, full of dashes and interrupted thoughts. She does sometimes distance herself from her own grief, referring to herself as “the widow” and writing almost as if she were an anthropologist working on a case study, but for most of the book, Oates writes from the center of her pain. For my part, I liked Didion’s approach a little better, but I was often moved by Oates’s more immediate and visceral account. I do think it could have done with some cutting. There was a lot of repetition that might have been included for effect but that ended up feeling to me like filler. For the most part, though, it was compelling reading, and I felt much more like I was in the trenches with Oates than I did with Didion. Maslin also talks about what she sees as Oates’s snarky attack on Didion’s memoir. Maslin writes: “Some widows, Ms. Oates suggests — ahem — might benefit from a good swift slap to break the spell of grief-mongering pathology.” I’ve read and reread the page Maslin references, and I simply cannot see where she gets the idea that the some widows refers to Didion. In that chapter, Oates is mulling over the drive to write about this kind of pain and about how a widow’s grief might look to others. The line about giving “the widow” a slap comes at the end of a paragraph that more likely is about Oates herself. Other blatant misreadings include Maslin’s scoffing at how Oates and Smith called each other “honey.” Contrary to Maslin’s claim, Oates doesn’t mention their pet names as if they were an “exotic intimacy.” The salient point is that Oates couldn’t bring herself to call Smith by his given name—now isn’t that revealing? In fact, this early revelation points to one of the more interesting themes that runs throughout the memoir. For all their closeness, how well did Oates and her husband know each other? How much did they keep back? What has Oates lost that she didn’t even know she had? This idea comes to the forefront late in the book, when Oates finally reads the novel that Smith started and abandoned early in their marriage. The fact that early in the book Oates tosses in passing comments about how she and her husband distanced themselves from each other shows a discipline in her writing that may not be obvious at first glance. 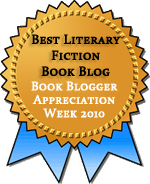 It’s not unusual to hear professional critics complain that book bloggers are too subjective and lack insights and, in short, are dumbing down the reviewing world. I’m not going to stand up and say book bloggers are better than professional critics because I don’t think that’s necessarily true. Quality varies from reviewer to reviewer, from blog to blog, and from review to review. But Maslin’s review makes it pretty clear to me that print critics can be just as prone to bias and misreading as an unprofessional blogger may be. That’s doesn’t mean print reviews have no value, but it does mean that a single print review cannot—must not—be seen as the final verdict on a book, even as a single blog review should not be. Addendum: I know some readers feel strongly that it’s best not to read others’ reviews before reading a book because it might taint your own reaction. For myself, though, I consider each review part of an ongoing conversation, and as such I sometimes like to see what others have said before I start reading or after I finish. I don’t necessarily seek out others’ views, but I don’t make an effort to avoid them either. What others say may affect my opinion, but it doesn’t necessarily taint it. There is a tension here, of course, which Amateur Reader explains beautifully in this post about knowledge vs. experience in the way we encounter art. I hadn’t heard of either the book or the controversy, but you’ve really sparked my interest. Theoretically, I can see that Maslin may personally feel that Oates got engaged ‘too soon’ – but in real life, who is anyone to say what’s ‘too soon’? Human relationships are far too complicated for that. As a professional critic, I think you can judge the writing, or even the decision to publish, but not the personal choices. And I don’t think choosing to remarry diminishes the first marriage you had. Isn’t it more likely that having faced down death, you are more likely to seize the chance of happiness that still remains open? The point about Oates needing an editor is something I often think. I have an on-off relationship with her fiction – some I think is fantastic; but some just goes on and on and on. I agree that it’s not possible for an outsider to say what’s too soon. I think Maslin’s complaint, though, has to do with her leaving it out of her memoir, but I think it have been tough for her to speak openly about it without turning it into a different sort of book. I’ve only read a couple of her novels (Black Girl/White Girl and one other–possibly Them–that I read so long ago that I’ve forgotten it completely. But it’s interesting that you find her fiction flabby as well. I have this book on my TBR list (NOT in the physical TBR mountain which I’m attempting to cull); luckily, my local library has it, so I have put it in my request queue and look forward to reading it. I think it will be an interesting companion piece to THE YEAR OF MAGICAL THINKING, a book I thought was very engrossing (it’s hard to use words like “enjoyable” or “entertaining” for a memoir about the first year of widowhood, but I found TYOMT an extremely readable book). I hadn’t heard of the controversy involving Maslin’s review, but I did know that Oates had remarried within 18 months of her husband’s death. It’s interesting when you consider that, anecdotely speaking, many men who become widowers after long marriages often remarry within a year and no one bats an eye, but if a woman remarries “too soon” (and who should decide what time frame that is–Janet Maslin?) the true nature of her grief and the level of intimacy in her marriage are questioned. Excellent point about widows vs. widowers — why are women held to a stricter standard of grief? Is it because men are considered more helpless — or are there just more women who are willing to marry a widower, so it’s more common and therefore more accepted? It is interesting to look at the two memoirs together. They’re so similar, yet so different, which shows how differently people deal with grief. I’ve actually heard men get criticized for remarrying soon–someone in the comments on Dorothy’s post mentions Paul McCartney. It seems like something that’s just impossible to make assumptions about in regards to what it says about the first marriage. Thanks for that, Steph. I can imagine how pet names might become a primary name for a spouse and agree that it doesn’t necessarily mean the partners are holding themselves back :) Those thoughts come from the way Oates talks about it–she says that it’s like he’s on a different plane from her and can’t be talked of in the same way as other people, and there’s more later about ways they might have kept themselves apart from each other. It’s part of a whole undercurrent about intimacy and what it looks like. Have you read C.S. Lewis’ A Grief Observed? My husband and I read it together when we’d been married less than a year and I bawled the whole time. I can’t comment on either of these books — but i do want to defend women who’ve been married a long time struggling to get along without their husband. Although I know I can be happy without a man, My husband is my best friend, first confidant and primary companion in decisions, vacations, daily tasks, and everything else. I’ve only been married for five years but I still feel I’d be crippled if I lost him, not because I “need” a man but because I love his companionship in a million ways. I honestly can’t remember how I managed with out him by my side. So a man isn’t necessary, no, but for me, at least, it’s a wonderful and essential part of my life from here on out! It would a hard adjustment to suddenly not have that. Yes, I loved A Grief Observed (and the film Shadowlands). I completely hear what you’re saying and understand that losing a spouse could feel crippling. I think what got up my nose at times about Oates’s way of talking about it was that she often went on and on about how awful it was to be alone as if being alone were the worst thing ever, not just for her but in general and not because she missed her beloved husband. As I thought about it more, though, I came around to seeing that, in the moment especially, the aloneness itself would feel dreadful. This is an interesting example of the interaction between professional critics and book bloggers, as well as reviews and readers—while I’ve no desire to read the book, I quite enjoyed this post. I’ve been wanting to read the Didion book and had just recently heard about this one too. Come to think about it I’m sure I read that NY Times review. I’m looking forward to reading both books. Grief and loss are such personal things that one can’t fault either author for how they express themselves in these “grief” memoirs. You did a wonderful job reviewing this one and bringing out all of the salient points about it. The two books do make a fascinating contrast, and they show so well how personal grief is–yet how certain ways of thinking and coping might be shared. I just want to echo Clare’s comment about finding your post analyzing the review’s critiques to be interesting – without having a desire to read Oates’ book itself. Thanks! I kind of hated taking the post in this direction, but I thought Maslin’s review was so interesting, and it colored my reading so much that I had to address it. I appreciate your comparison of Oates and Didion, since I plan on reading Didion at some point when I can stand another grief memoir, which is not going to be soon. The Oates book was so thoroughly wrenching that I don’t want to experience such intensity very often. I thought the depiction of Oates’s marriage was very interesting too; I’m annoyed when people have expectations of how all marriages should be, as Maslin seems to have, since the nature of the relationship can vary so much. Is there really anything wrong with the fact that Oates and her husband didn’t share a lot of things with each other, as long as they both were okay with it? Yeah, I wouldn’t want to read Didion and Oates one right after the other. They’re both so wrenching, despite being different. And I agree that what goes on inside a marriage is the business of the two people involved. What I found fascinating here was how her husband’s early death caused Oates to question whether she made good use of the time, and she raised those questions so honestly in this memoir. It would have been far easier to idealize and not ask those hard questions.